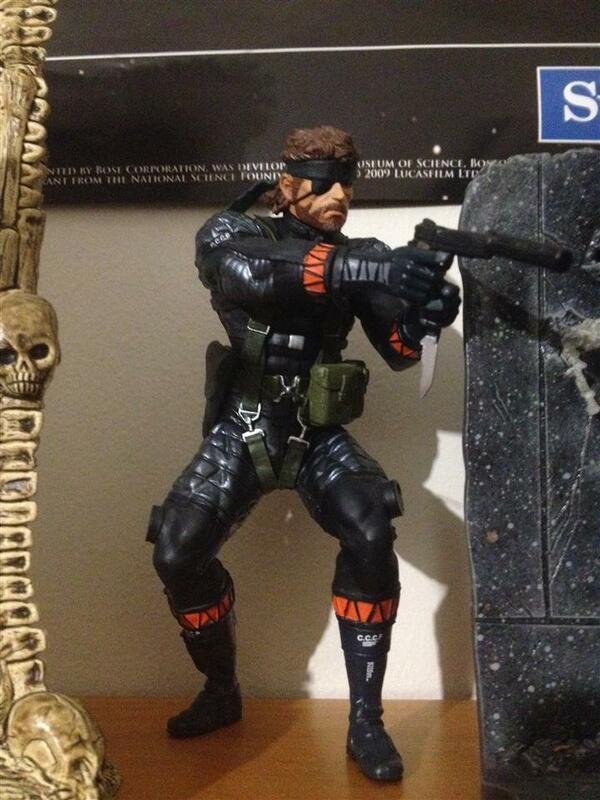 Medicom Metal Gear Solid 3 Snake collected in Figure Collection by Tayler Rowe - Collected It! I must admit, I consider myself a huge MGS fan and have always wanted a Snake of my own, But all I can say about this figure is that it is TERRIBLE. The main issue with this guy is that there is little to no articulation, the legs are in this permanent position and will ALWAYS topple over if not leaning against anything. The colors are a little off too, the eye looks very plain and as if someone just dipped a brush into multiple colors and just swiped it on. The only good thing I can review on this figure is the detail Medicom have put into Snake's gear, cables and wires connect his communication equipment, while each ammo pocket looks extremely real down to the straps holding them together. All in all guys, this did not have the outcome I was expecting from Medicom which are usually very good on their products.